Spanning every hue from ballet-shoe pink to almost ruby red, and encompassing a broad range of sugar levels and styles, the rosé category has much more to offer than the pale stuff from Provence – as our Rosé Masters showed. It should come as no surprise that a category defined only by its colour should contain huge diversity. With wines from the palest of pink to almost ruby red, bone dry to almost cloyingly sweet, reductively handled to barrel-aged, as well as gently spritzy to fully sparkling – there’s little you won’t find from producers of pink wines. However, as with any wine category, some approaches are more successful than others, while commercially, this is a category that sells on appearance – and it’s the pale ballet-shoe pink of Provençal rose that’s attracting the punters at present. 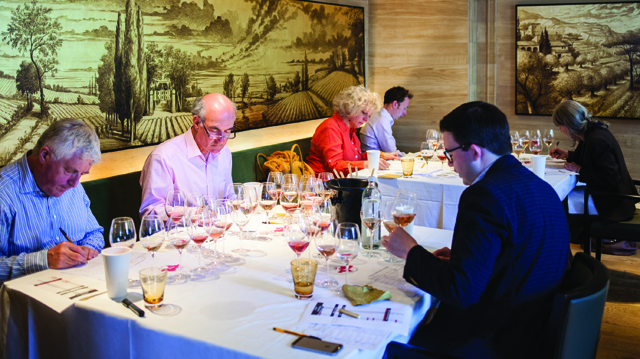 In this year’s Rosé Masters, all styles and quality levels were represented, and, like previous years, certain wines divided opinion. Where debate arose, it concerned what exactly a rosé is, stylistically. For some it is a straightforward, fresh and youthful wine best served straight from the fridge. For others, it can also be a serious product, with structure, made for food and, indeed, laying down. While a right or wrong answer to such discussion was good fuel for pre-and post-sampling conversation, the tasting was focused on quality – with each judge assessing the wines on show on balance, intensity and complexity, according to price band, whatever the winemaker’s approach. The Drinks Business Global Rosé Masters is a competition for rosés from around the world. 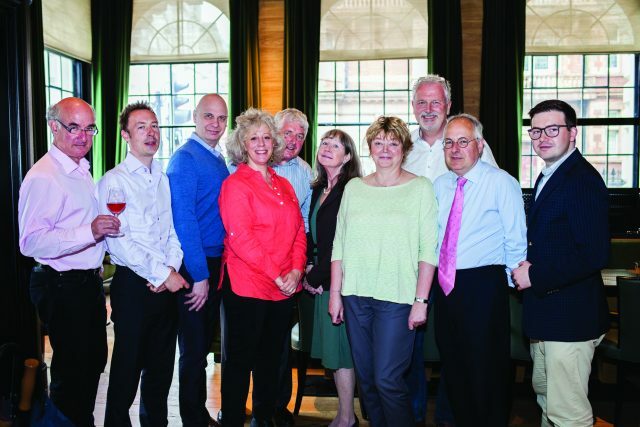 This year’s event saw 160 entries judged blind by a panel of highly experienced tasters. The best wines were awarded medals which ranged from Bronze through to Gold as well as Master, the ultimate accolade given only to exceptional wines in the tasting. The wines were tasted over the course of one day at Les 110 de Taillevent in London on 14 June. This report features only the medal winners. Nevertheless, the range in both quality and style of rosé proved that this is a category in transition. It appears to be growing up, but not fully mature, as rosé makers experiment with different winemaking approaches. As Provençal rosé specialist Elizabeth Gabay MW commented on the pink wine category after the tasting: “What we are witnessing is a wine style evolve”. But certain themes emerged strongly this year. One was the colour variation at the lower end of the price spectrum, particularly compared with higher price bands. Below £15, and rosés ranged from the barely noticeably pink-tinged products to dilute red drinks, prompting judges to wonder whether the term rosé should in fact come with a defined colour spectrum. At the higher end, over £15, it seemed that all producers wanted one thing: the pale hue of the typical Provençal pink. While this may be the desired appearance for high-spending pink-loving consumers, achieving this light shade wasn’t always to the wine’s advantage – such brief skin contact could leave a wine without the depth and length of flavour to justify higher prices. Sebastian Payne MW concurred, but also lamented the resulting standardisation in rosé appearance and style, while observing the market reality: buyers want a pale product. “I think it’s sad that everyone thinks that their wine has to look like Provençal rosé,” he said. Another issue concerned sugar levels. Like all styles of rosé, those over 4g/l were looked at without prejudice and assessed according to their quality level, with the judges searching for balance, aware that there is a large market for sweeter styles. 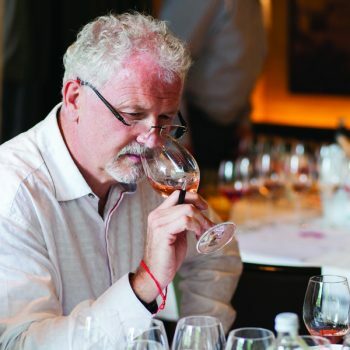 One judge, Jonathan Pedley MW, said: “The basic requirements for sweet rosé are fresh, bright red berry fruit, and a lot of the more commercial rosés can carry quite high residual sugar levels if they have a decent acidity and not too much alcohol. A similar sense of success and failure in sweet rosé was recorded by Gabay, who said: “I was very surprised at how well some wines handled residual sugar – maybe a lesson that dry doesn’t always equal good. If the wine was well made the sugar was less obvious. “South Africa’s Vondeling, Château St Jacques’s La Chapelle from the Minervois, and Australia’s Bird in Hand were all lovely examples of good rosés with more sugar [between 3 and 4g/l]. And the Rosé d’Anjou from Remy Pannier was a prime example of how a sweet rosé [16g/l] could also work. Concluding on this topic, Gabay noted that in southern France, there is an increasing trend for drinking rosé with ice, which alters the balance for sweeter styles. “Some of the sweeter styles of rosé are being made for serving over ice, which changes the balance, and perhaps we should taste them that way,” she said. “Rosé should be made properly like white wine. Free–run (saignée) roses, which are basically made to improve the red juice, are uninteresting and age fast, as do nasty concoctions made by adding red wine to white wine. The strong market for pink Champagne and Provence means that these categories can get away with very fancy prices, not deserved on quality grounds. “The sparklings were really rather good, although when we reached the Champagnes, pricey. The £15-20 still dry wines probably offered the best rapport qualité-prix. The more expensive dry still wines were, in some cases, absolutely delicious, including those with noticeable oak influence, provided there was enough fruit and acidity to support the oak. The most disappointing were the non-dry still wines. We had few awards there, and quite rightly, in my opinion. Most of these non-dry still didn’t get the equilibrium between sweetness and acidity (and flavour) correctly. Sad really, as these styles could be made more of for casual sipping or even pudding. “It doesn’t really make much difference about the varieties used provided the fruit, alcohol and acidity (and sugar where used) are in balance. “There were too many wines that were lacking in fruit, with a few using sugar to create a feeling of ripeness. It needs a confident winemaker to make a rosé with weight and complexity, and the three rosés that won Masters, interestingly enough, came from three good Provence winemakers. “Rosé is becoming more international. Greater producer engagement, efficiency in the cellar and possibly swifter logistics have brought a wider range than ever to the market, with the accent on up-to-the-minute vintages. A decade ago the latest vintage was shipped too late for the northern hemisphere summer. “The wide range is a response to the rosé boom of recent years. Along with some exceptional wines, our thirst for the style has sucked in rather too many dull wines too. “Provence and other French Provence-style wines were of a high standard, and the 2015 vintage looks like one to go large with. Elsewhere there were some pleasant surprises (Greece, Romania) and some howlers. But what is clear is the opening up of the supply base. Hopefully the market has not peaked too soon. Aside from depth of colour and sugar levels, another point of discussion was acidity, which, of course, was particularly relevant to the sweeter styles, but also key to bone dry rosés. Pedley commented: “Quite a lot of the rosés were from the 2015 vintage, which [in France] was a warm year, with a good level of ripeness, which means that if you’re not careful you will get low acids… and there were some wines suffering from flabbiness. “With Côtes de Provence rosé, the flavour of the month, I see this problem quite often, which is partly because of the climate there, but also because of the Grenache used for Provençal rosé, which is an inherently lowacid grape. Finally, there was the issue of oak use in rosé. Interestingly, Gabay, who lives in southern France and regularly visits the producers of Provençal rosé, big and small, says there’s a lot more oak use in the famous pink wine region than many believe, and applauds its use to add texture and complexity to the wines. Similarly, Patricia Stefanowicz MW was impressed with the oaked rosés sampled in this year’s tasting, although she stressed the need for balancing fruit with oak. “The more expensive dry still wines were, in some cases, absolutely delicious, including those with noticeable oak influence, provided there was enough fruit and acidity to support the oak,” she said. For Gabay, the issues surrounding the use of oak in rosé, both to add flavour and texture, is a question of perception – after all, the use of oak, new and old in all its formats, is not just accepted, but soughtafter in whites and reds, particularly at the top end. “We need to think about what we want from a rosé, and the problem is, rosé is regarded as a simple wine, and it is an intellectual wine,” she said. Considering the sparkling rosés first, the first Gold was awarded once the entries slipped over the £20 mark, with, significantly, a Franciacorta gaining this accolade in the £20-£30 band, suggesting that the Italian region offers a better quality-to-price ratio than other traditional method pink fizz at these prices, including Champagne and English sparkling. Moving over £30, it was a Chardonnay dominant Champagne from Comte Audoin de Dampierre that wowed the judges, becoming one of five entries across all categories to earn the ultimate accolade of Master. Champagnes from the Lanson Group performed exceptionally well too between £30 and £50, with both the Lanson Rosé NV and the company’s Besserat de Bellefon brand picking up Golds. It was surprising to find a first-rate Tuscan sparkling in this category, with Marchesi Fescobaldi’s vintage Leonia Pomino Rosé awarded a Silver. Over £50, one would expect high quality, and setting a tough act to follow was Champagne De Saint Gall for its Grand Cru Rosé – awarded a Master – and Lanson’s Extra Age Rosé and Laurent-Perrier’s Cuvée Rosé, which both gained Golds. Moving to still dry rosés between £10 and £15, the judges were impressed with the benchmark Provençal rosé that was the Pure Mirabeau, as well as the delicious pale pink from Château Brown in Bordeaux – a rosé with brightness and structure due to appearance and whiff of vanilla from its time spent ageing in new oak barriques, tends to divide opinion. However, this year the judges were all amazed by the power, complexity and, importantly, balance of this wine, which delivered refreshment along with interest. However, Sacha Lichine, the man behind d’Esclans, should watch out – the flagship rosé from Gérard Bertrand, using a blend of Grenache, Mourvèdre, Vermentino and Viognier grown at the company’s Château La Sauvageonne in the Languedoc, is an exceptional wine that rivals Garrus for style and quality. Indeed, if one wanted proof that rosé can deliver cool refreshment and be a serious drink, then try the top pinks from Bertrand and Lichine. Interesting to see the variety of styles and the use of oak.